This package includes Paperback and Paperback and WriterKey. What are borders? Who are border crossers? These questions and others are addressed by readings from cultural scholars, economists, novelists, poets, political theorists, travel writers, and others in Border Crossings. Through a variety of questions and activies you'll delve into this complex issue in an informed and thoughtful way. Chapter 1: What Are Borders? Chapter 2: Why Do Geographical Borders Matter? Heewon Chang, Re-Examining the Rhetoric of the "Cultural Border"
Chapter 3: How Do Borders Influence the Ways We Write and Speak? Chapter 4: Does Creativity Transcend Borders? Omar Akram, Can Music Bridge Cultures and Promote Peace? Chapter 5: Can We Rethink a World without Borders? Shaun Raviv, If People Could Immigrate Anywhere, Would Poverty Be Eliminated? 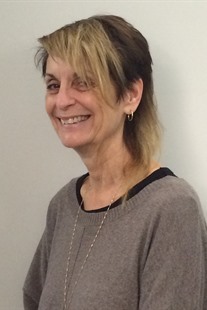 Catherine Cucinella is an Assistant Professor of Literature and Writing Studies at California State University San Marcos where she also directs General Education Writing. Much of her research focuses on women poet and writers, body and gender theory, and ethnic American literatures, and she has written and edited two books on these subjects: Poetics of the Body and Contemporary American Women Poets. She also teaches courses in composition studies, pedagogy, and twentieth- and twenty-first-century American literature. For Bedford/St. Martin’s, she is editor of Border Crossings. 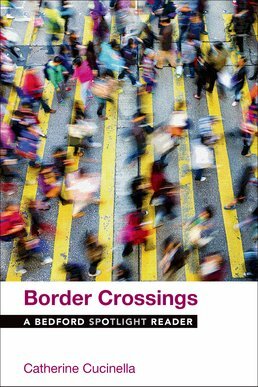 A brief and versatile reader about borders at an affordable price.